Celebrity Solstice spends her year sailing between the icy straits of Alaska and tropical ports of Australia and the South Pacific. During Australia’s summer season, Celebrity Solstice cruises our crystal waters with departures from Sydney, Perth, Auckland and, new for 2020, Melbourne. With a fantastic schedule of New Zealand options, she is a great choice for those wanting to visit the land of the long white cloud, however her cruises visiting the South Pacific and the Great Barrier Reef are stunning and also very popular. One of the favourite Celebrity Solstice itineraries, particularly for Australians, is the repositioning cruise between Sydney and Hawaii (or vice versa). These cruises depart in April of each year to head to Hawaii and September or October to cruise back to Australia and visit New Zealand and the picture-perfect islands of French Polynesia. Once in Honolulu, Celebrity Solstice hops through the islands of Hawaii on her way to Vancouver (or vice versa) to begin the Alaska cruising season. Celebrity Solstice cruises in Alaska are seven night sailings with departures mainly out of Seattle, however there is one cruise each year from Vancouver. These cruises visit Ketchikan, Skagway and Tracy Arm Fjord. 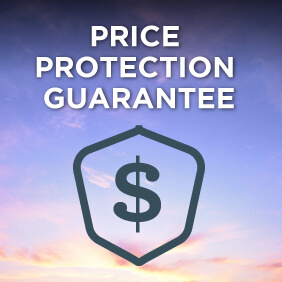 Book on the Save and Sail Fare available on select sailings for discounted rates* without any inclusions. $10pp deposits* are available on all sailings departing after 10 October 19 when you book your cruise by 30 April 19. View $10 deposit cruises. 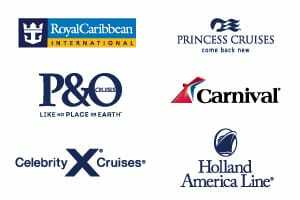 View all Celebrity Solstice cruises, view a selection of Celebrity cruise deals, or view more options for Celebrity cruises. 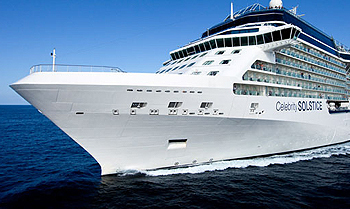 Celebrity Solstice is one of Celebrity cruises most decorated ships. So it’s no wonder that it’s full of “firsts.” The first Lawn Club at sea. The first Hot Glass Show. The first cruise line to have five women, known as “the Leading Ladies,” redesign its staterooms. Celebrity Cruises passion for outstanding cuisine takes the onboard dining experience to a whole new level. But luxurious staterooms and specialty restaurants are only part of this ship’s charm. Celebrity Solstice also features Canyon Ranch SpaClub and fitness centre. Pamper yourself with spa treatments or push yourself in a workout with one of our expert trainers. If only life on land were as good as life on board this exceptional vessel.